Mauss is interesting about gifts. His idea is, broadly speaking, that capitalists do not like presents and will actively avoid them if they fear the risk of reciprocity. The principle of my artwork is not reciprocity. The idea is more that I am leaving a souvenir. A token of my appreciation in this case. I have found over the years that people react in a variety of ways, often these ways are negative. 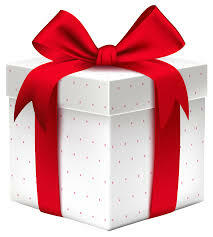 The gift is sometimes seen as an invasion, a focus for their negative feelings, and a source of blame. There must be something wrong with me as gift giver, there must be something sinister about my intentions. As there has usually been some history between me and the recipient, and the history is generally pretty odd, as histories go, sometimes the gift seems like the last thing I should do. Speaking as the giver, that is irrelevant. If you are a source of inspiration, I feel it is only fair that you get something for the rollercoaster that has gone with being the focus of my attention. I am a difficult creature, and even if you have not been aware of my being difficult, I am, and so I like to give gifts. In the most recent case, I have restrained myself somewhat and given a small but meaningful gift, with the intention of a bigger gift later. In this way I am preparing to go to war with some pretty dark forces, and my hope is that the most recent recipient, who understands the need for it, will take this as a symbol of hope whilst I work on the weapons. Anyway, I hope that my gift has not caused too many problems, and wish you every happiness with it.